This multi-county administration program is the direct result of a state-mandated rule (Chapter NR-135 Wis. Adm. Code) passed in December 2000. The overall goal of NR-135 is to provide a framework for statewide regulation of non-metallic mining reclamation. This was done by establishing uniform reclamation standards and requiring counties to adopt a reclamation ordinance capable of ensuring compliance with these standards. ECWRPC, through a cooperative agreement signed in July 2001, administers these ordinances for four counties (Outagamie, Shawano, Waupaca and Winnebago). As of January 2018, a total of 190 sites have active permits. The program is self-funded by the operators and is an excellent example of regional cooperation. 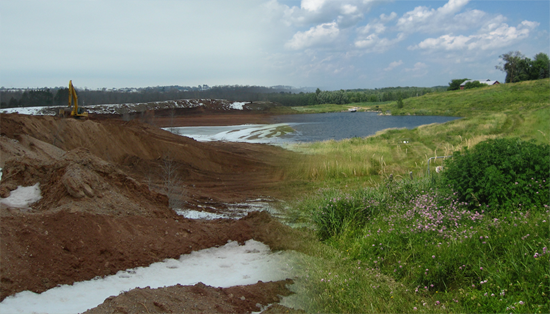 Staff’s knowledge in reclamation planning, policy and regulation has resulted in a consistent, efficient, cost-effective and service oriented program.